﻿ Four Points by Sheraton Danang, Da Nang | FROM $79 - SAVE ON AGODA! "Spanking new hotel (6 months old) with great facilities." 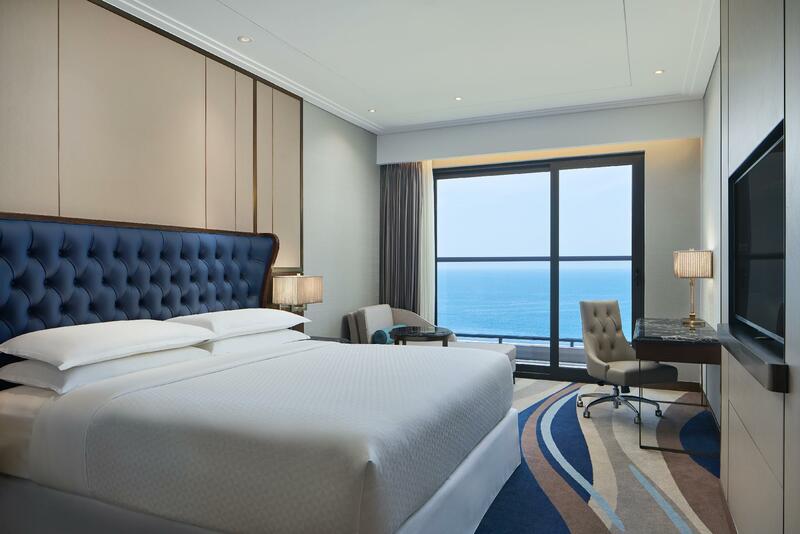 Have a question for Four Points by Sheraton Danang? 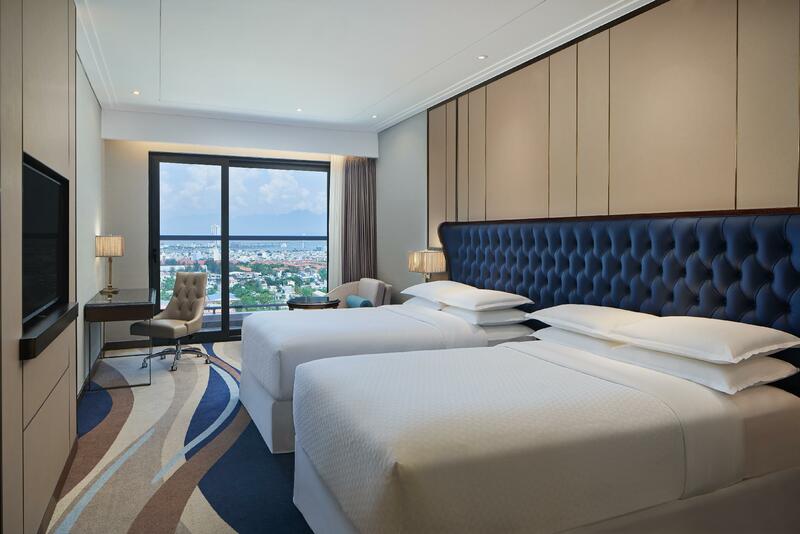 "Should stay here when you come to Da Nang for business, the location is quite good"
Conveniently located in Da Nang, Four Points by Sheraton Danang is a great base from which to explore this vibrant city. From here, guests can make the most of all that the lively city has to offer. With its convenient location, the property offers easy access to the city's must-see destinations. All guest accommodations feature thoughtful amenities to ensure an unparalleled sense of comfort. The property's host of recreational offerings ensures you have plenty to do during your stay. 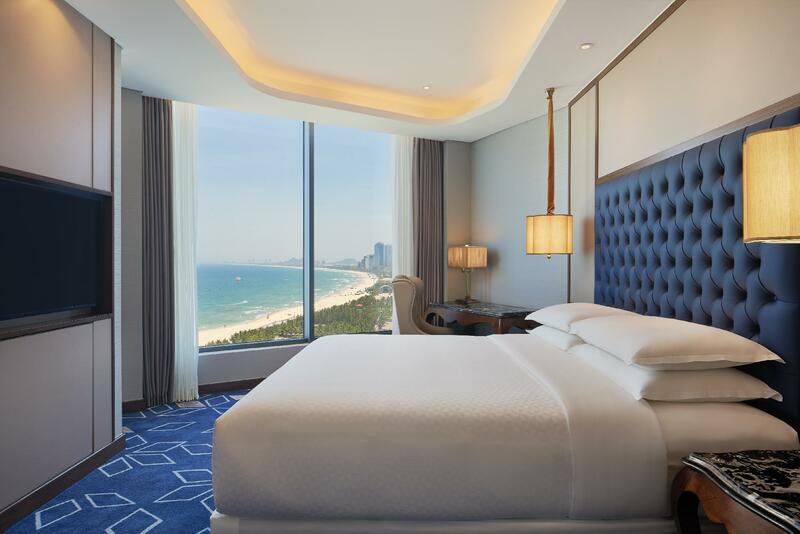 Four Points by Sheraton Danang is a smart choice for travelers to Da Nang, offering a relaxed and hassle-free stay every time. Very friendly staff, they all go out of their way to help you and make you feel welcome. The room is very clean and beautiful and have a nice ocean view. The lovely front desk lady names Vy was very kind and had extended our check out time after she found out our flight was delayed. All new hotel with good facilies. 1. room TV is equipped with HDMI connection at the wall, good idea but it doesn't work. 2. pool is too windy and too cold to enjoy. 3. food are good - except the spagetti at Italian dinner, it's freshly cooked but there's no taste at all. Breakfast has a lot to offer. 4. Spa treatments are very good, except the emergency alarm which is installed right there by the treatment rooms. It shocked us whether there's an emergency and evacuation in need. Staff go all out to help in any way they can. Facilities and room are new and clean. Dear Jew, Thank you for sharing your feedback about the recent stay at Four Points by Sheraton Danang. We are glad to know that you liked our facilities and were well taken care by our staff. We work hard to offer our guest a memorable stay and learning that you had an exceptional stay is a reward to us. Thank you again, the hotel team look forward to welcome you back in the soonest chance. All the best wishes. Four Points by Sheraton Danang. Spanking new hotel (6 months old) with great facilities. We used the steamroom and sauna quite a bit. My only gripe was that the lockers in the changing rooms were very hard to open as they had no handles. Staff are all very friendly and attentive. The front desk is especially good with information and helpful suggestions on sights to see. Rooftop bar staff were also knowledgeable about the beverages they were serving. Perhaps a little brushing up needed for the restaurant. My husband ordered a minestrone soup and pasta for dinner and after quite a bit of a wait, both were served at the same time. Also, the Japanese buffet needs some refinement. I have mixed feelings about the location. It’s beachfront with a beautiful view because we had a room facing the sea. However, there really isn’t much else in the immediate vicinity. All in all, a good stay and experience. Our room (superior double, 25th floor, facing the bay) was beautifully appointed and spotlessly clean. The oversized king bed was a luxurious dream come true. I should point out that, as others have noted, the room is a bit small, but for a couple like us it’s “cosy”. The rooms are very well soundproofed and you don’t hear any noise from the street below. (Do not underestimate the importance of this, as drivers here are constantly honking their horns, and the noise can drive you crazy). The cherry on top is a fantastic bar on the 36th floor, offering a spectacular view of the sunset over the city with the mountains in the backdrop. Happy Hour is 5-7pm daily with a great selection of draught and bottles craft beers at “buy one get one free”, and a free flow of snacks. Generally, hotel staff in Vietnam are very friendly and attentive, and here was no exception. Everyone went the extra mile to ensure we had a great stay. The Sheraton Four Points is more like a business hotel, and although it faces the beach, if you are a family with kids you may want to consider a more “resort-style” place such as the Furama. Other reviews mention that the lifts are a bit slow, and we did notice that too. The hotel is very new, and exceedingly good value at around US$120 per night. For only a slightly higher price than the other “local” hotels that line the beach, you get 5 star luxury and an experience that is on a whole different level. We will definitely stay there again. Very highly recommended to anyone visiting Da Nang! Nice ocean view,nice location. But the break fast needs improvement and the smoke detector in the room is always flashing . This hotel is located right in front of the long beach and facing East exactly. I am so glad to view sunrise in every morning in the balcony. Breakfast is nice . Wish I could have a longer vacation in this hotel. Staff was very efficient, helpful and courteous. However, food was very disappointing. Dear Molly, Thank you for sharing feedback about your recent stay at Four Points by Sheraton Danang. We are glad to know that you were well taken care by our staff. Our Food and Beverage team has been aware of your feedback and we are taking immediate attention to rectify the matters in order for us to better your holiday experience. Thank you again for your comments, the hotel team truly appreciate your kind words. We look forward to welcoming you back in the future. Warmest regards. Four Points by Sheraton Danang. 2nd time staying in Four Points Danang. Best location and facilities. Excellent view. Great customer service. Most recommended. Dear Tann, It is our pleasure to welcome you back. 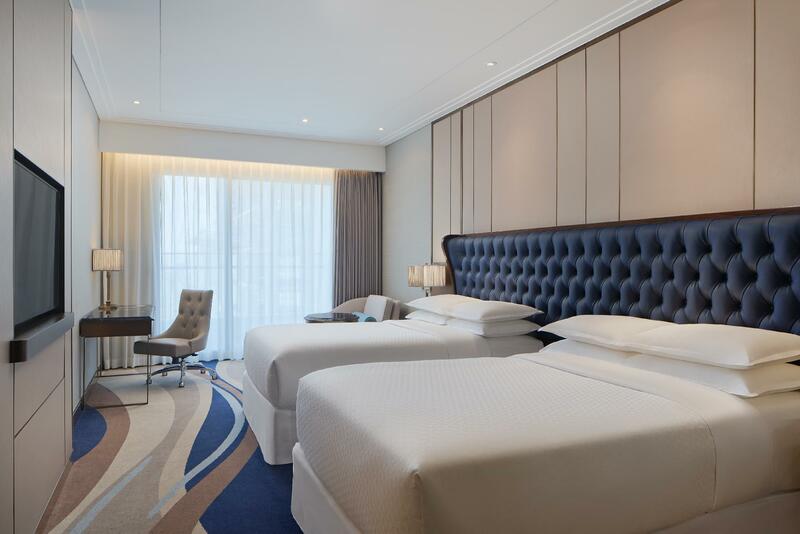 We are thrilled to hear that you had a pleasant stay at the Four Points by Sheraton Danang. Thank you for giving us the opportunity to serve you again. The hotel team truly appreciate your kind comments and recommendation. We all look forward to welcoming you back in another Danang trip. All the best wishes. 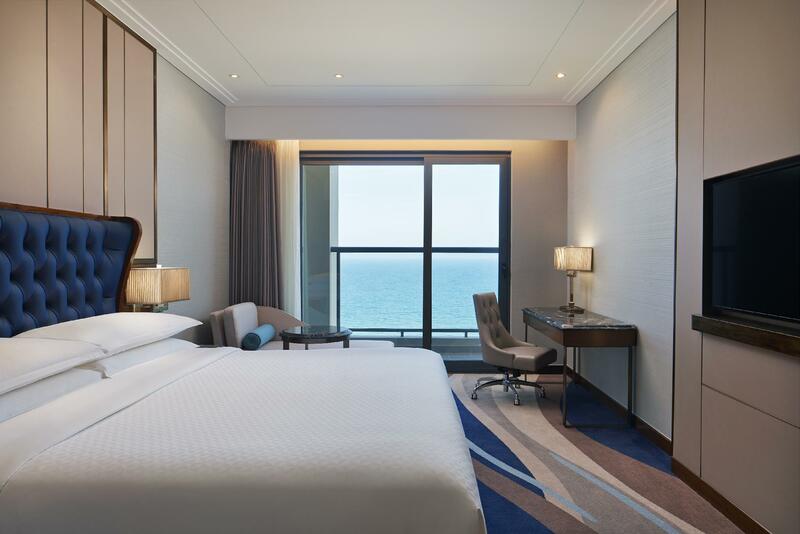 Four Points by Sheraton Danang. Polite professional friendly staff. Amazing rooms. Sadly the jacuzzi was being retiled while we were there. To cut it short, staffs and service level are perfect. We spent our new year holiday in Danang from 2018 through 2019. The weather was not pleasant but Four Points made our stay comfortable and full of warmth. For the nights that rained heavily, we enjoyed the daily theme dinner buffets in the hotel. Tourist counter in the lobby was also useful and we participated a nice tour to My Son temple. The location was perfect for people who needs mind peace and natural view of the Ocean. Last but not least, the staff, especially the receptionist were very responsive and helpful when any problem occurred. Me and my husband would love to thank Ms. Chau and the deputy manager on Jan.1st who helped us with our delayed flight. Four Points made our Danang stay the most unforgettable and welcomed trip among our travel experiences! Thank you so much and we are looking forwards coming back again! Actually it is hotel for travel and relax. 1minute from away to beach...beautiful sunset and sunrise. Recommend for couple. Excellent place. Very professional. Best spa. On the beach little car from the city center but who cares. Can’t wait to stay again. must try to the SPA. a bit far from the city center but with cab fares are reasonably cheap so no issues at all. I enjoyed every facilities there , gym , spa , restaurant , bar , sauna , everything are clean , Staff are nice there , front desk are the excellent team .